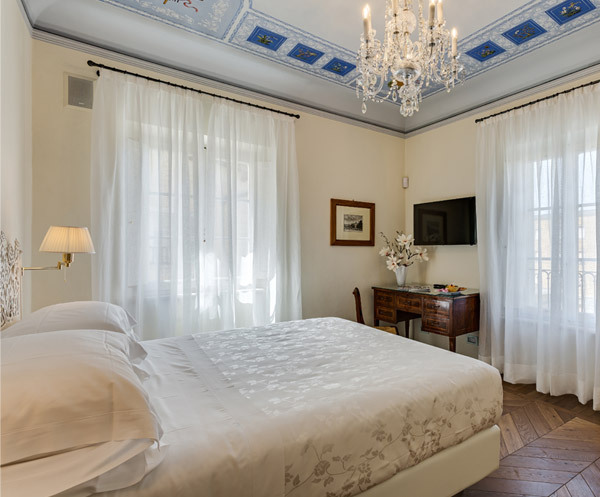 Well-lit and delicate like its decorations, the Perla (Pearl) room features two windows that look onto, respectively, the terrace of the Relais and Piazza Gramsci, also offering an evocative glimpse of the Church of San Domenico on the left. 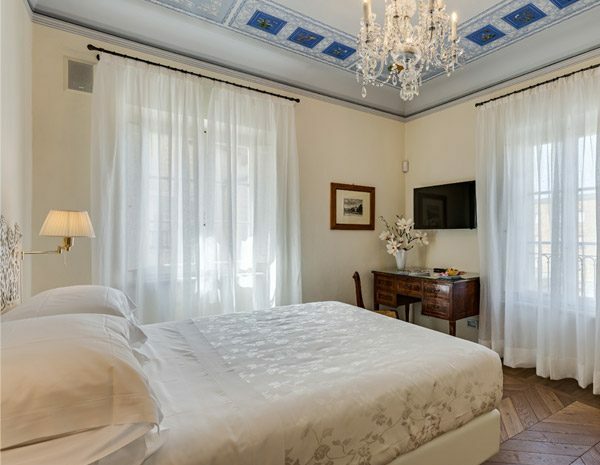 The special bed with white headboard made of wrought iron that reminds one of a “lace” fabric, the Louis XIV desk and a spacious closet-bookcase complete the room. 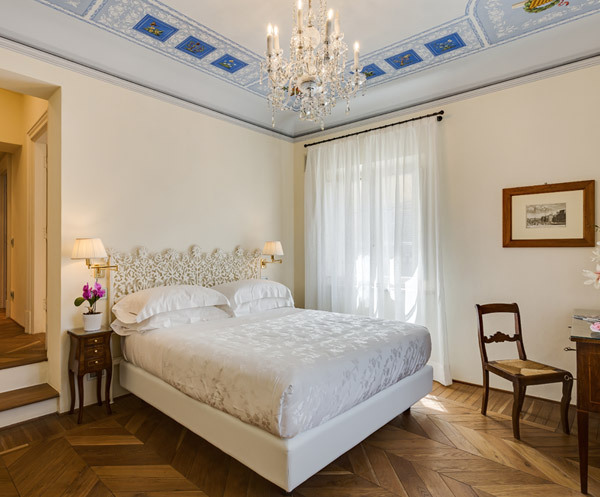 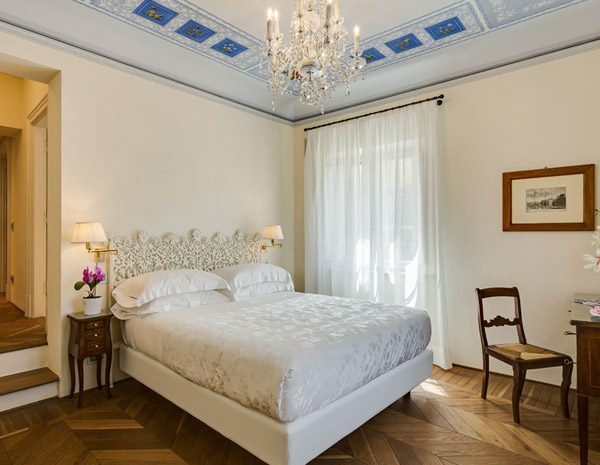 The frescoed ceiling depicting the symbols of the four arts features delicate and relaxing shades. 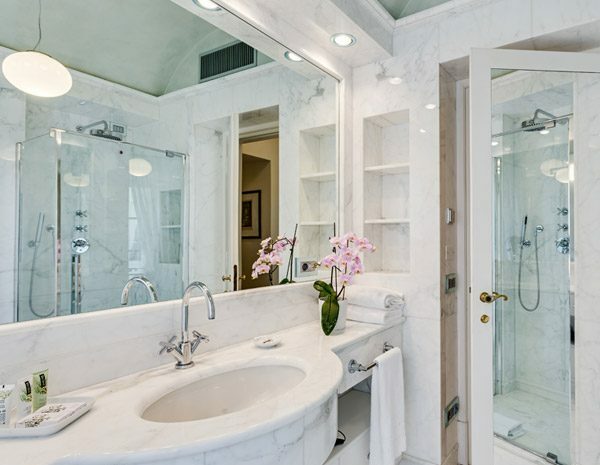 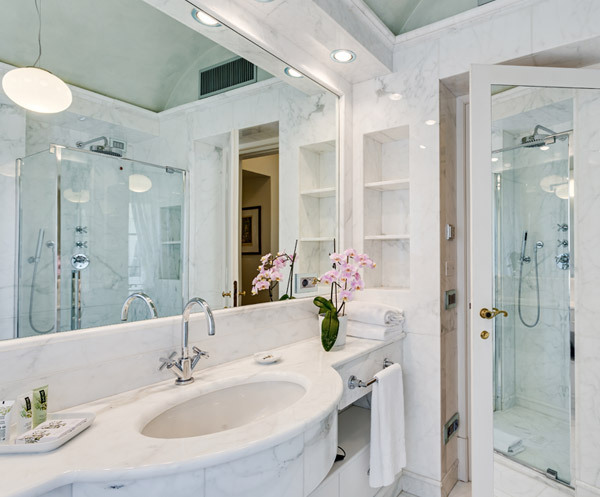 Lastly, the bathroom has a large window, a spacious washbasin and a shower made of white statuary marble.